As winter approaches, it could be the perfect time to take your pup out on many magical adventures to enjoy the changing colour of the landscape and fresh and brisk weather. Although you might be having fun with your dog, it could also be worth considering any health risks that could affect them. Alabama Rot is a potentially fatal canine illness that could affect your pooch and is something to keep an eye out for this winter! 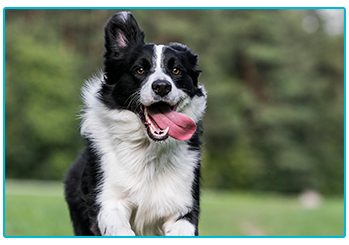 At The Insurance Emporium, we want to help keep you informed on potential doggy dangers. That’s why we put together this guide to Alabama Rot! Alabama Rot gets its name from the state in the USA and the place where the pet health disease was first identified in greyhounds. It is a disease that causes damage to your dog’s blood vessels and kidneys. It can cause unexplained sores and swelling of the skin, most often on the paws, legs, body, and face or in the mouth. Alabama Rot does not discriminate between the age and breed and could potentially occur in any dog. Unfortunately, it can be fatal in many cases but, as with any illness, getting prompt treatment could be vital. Unfortunately, there is still a lot of mystery surrounding Alabama Rot in dogs and this includes the cause. It has been documented that many cases seem to occur during winter and spring, however there can be no confirmation that this is anything more than a coincidence. There is also a link suggesting that walking your dog in a muddy or woodland area could increase the chances of Alabama Rot. Although these aren’t confirmed causes, they could help to give some pointers. The first signs might be that your dog has ulcers that appear on their skin. It might be worth heading straight to a vet as they should be able to tell you if these kinds of lesions are something to worry about. 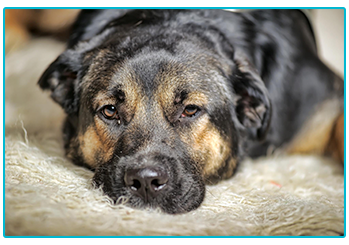 If your dog starts to show signs of loss of appetite, tiredness or vomiting, there could be a chance that kidney failure is beginning. This will usually come a few days after the first signs show on the skin. As with any illness, the quicker it is treated, the higher the chances of survival. As nobody knows the real cause of Alabama Rot, it can be quite difficult to know how to avoid it in the first place. 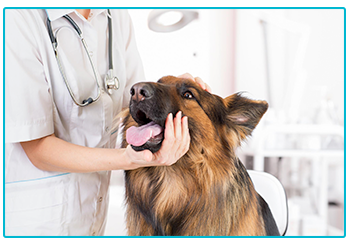 The best thing to do might be to ensure you check your dog for any abnormalities on a daily basis, paying close attention to any lumps and bumps. Also, keeping an eye out for the symptoms listed above and taking action as quickly as possible could make a huge difference. If in doubt, call the vet! Our dogs often love an adventure, especially when there are plenty of muddy puddles and fallen leaves to play around in, meaning that winter could be the ideal time to get out and about with your pup! Being aware of the symptoms of Alabama Rot could be vitally important when it comes to spotting the illness early and getting it dealt with. It could also be important to get some insurance for dogs, helping to protect you should the unforeseen happen! At The Insurance Emporium, our new Dog Insurance policies include a 20% Introductory Discount* and cover for Vet’s Fees up to £8,000^! Take a trip to The Insurance Emporium today to find out more! ^Vet’s Fees cover up to £8,000 is available on Lunar Monthly Lifetime Gold policies.